"No one seeks to minimize the problems of rural schools," according to the report. "But, at least from a national perspective, the unique needs of rural education are often obscured by their urban and suburban counterparts. One possible reason is that the majority of American students are educated in urban and suburban schools, which may lead policymakers to focus their attention and efforts on improving education where it will have the largest impact. However, such a metropolitan-centric attitude neglects a significant portion of the student population. Approximately one-half of school districts, one-third of schools, and one-fifth of students in the United States are located in rural areas." Virtual schools are similarly off the table, as two-thirds of Americans lacking a home internet connection live in rural districts and slow internet connections plague many rural schools. 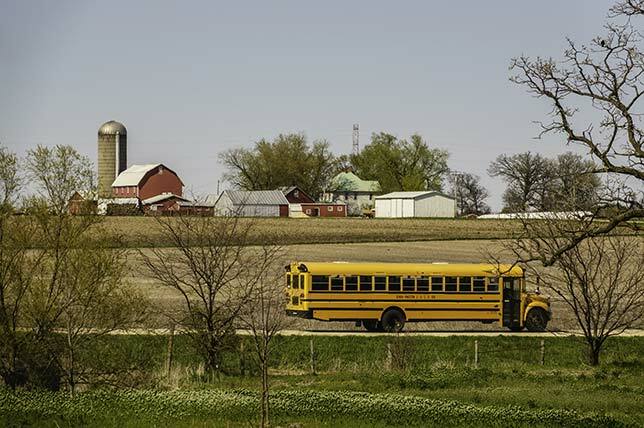 "Rural schools face many of the same challenges as their urban counterparts — high poverty and inadequate resources among them," said Patte Barth, director of the Center for Public Education, in a prepared statement. "Yet as our report shows, the proposed solutions for metropolitan settings, such as school choice and extended time in school, don't necessarily serve the unique circumstances of less-populated communities. Clearly, the nation needs a specific focus on policies and practices that will improve outcomes for the one-fifth of its children who attend rural schools." To read the full report, visit centerforpubliceducation.org.